DOSI is a technology designed to “see” metabolic tissue function and tissue architecture below the surface. DOSI provides high spectral resolution (as with MRS) with a low spatial resolution of functional quantities (as with PET) using a handheld probe and portable interface (as with ultrasound). 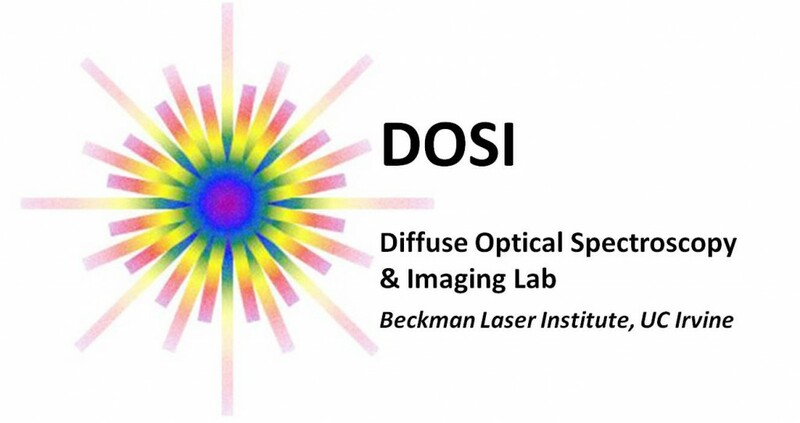 Check out the DOSI wiki to learn about instrumentation, theory, and even a little history about DOSI. We are heavily engaged in translational research, where we conceptualize, construct, and test unique instruments designed to solve important medical/biomedical problems. The DOSI Lab at UC Irvine is part of a NIH/NIBIB-supported technology P-41 Technology center designed to provide our technologies to other researchers (the Laser Medical and Microbeam Program (LAMMP)). Collaborations are welcome and strongly encouraged at any level along the translational research pipeline. We are also part of another NIH-supported multi-center network, the Network for Translation in Optical Imaging. This network, composed of academic clinical research centers is now engaged in a multi-center clinical trial that features DOSI technology. For more information, check out the American College of Imaging Radiology Imaging Network study site. The purpose of this meeting is to discuss research plans – experiments, grants, visitors, conferences, papers – anything that requires lab resources, as well as research topics relevant to DOSI. Every other month will be a journal club format. The purpose of this meeting is to discuss breast cancer topics related to ongoing clinical studies, such as patient data and quality control measures. Soroush passed his PhD dissertation defense on December 9th, 2014, entitled “Portable, Real-time Tissue Functional Imaging Using Frequency Domain and Continuous Wave Diffuse Optics” Congratulations, Soroush! Kyle Cutler has received the Master of Science degree in Biomedical Engineering after submitting his thesis entitled “Surface Motion Tracking Hardware for use in Reflectance-based Diffuse Optical Imaging.” Congratulations Kyle! Our new combined metabolic DOS and DCS probe (measures composition and flow) has now been accepted for presentation at the 2014 World Congress of Endourology. This work is being performed in collaboration with the UC Irvine Department of Urology.